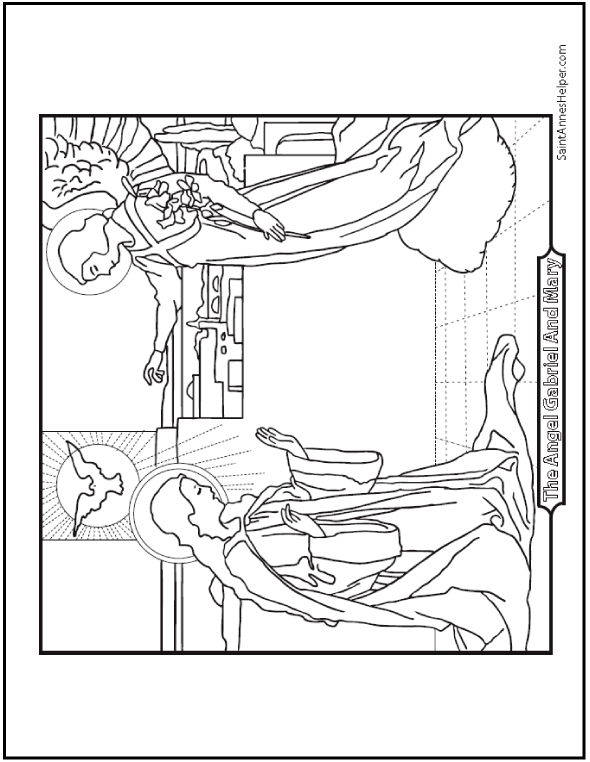 This Angel and Mary coloring page shows the Annunciation where the Archangel Gabriel announced to Mary the coming of Jesus. This is the same as the Incarnation, March 25. 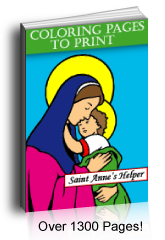 It is also the topic of the First Joyful Mystery of the Rosary. Pray for the virtue of humility. PDF prints 8.5x11" single sided.